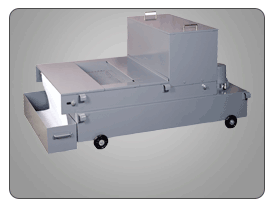 Ultrafiltration extends the life of washwater, floor scrubber and vibratory/tumbling water. 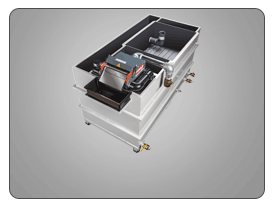 PRAB’s line of Ultrafiltration Systems are designed to separate organics, emulsified oils and suspended solids from process water, incoming water, wastewater and metalworking coolant reducing oily water volumes by as much as 98% without the use of chemical additives. For this reason, Ultrafiltration membrane technology is quickly becoming the fluid waste management process of choice over conventional industrial filtration methods. Ultrafiltration helps to meet zero manifesting goals and comply with federal Resource Conservation and Recovery Act requirements, as well as state and local discharge regulations. 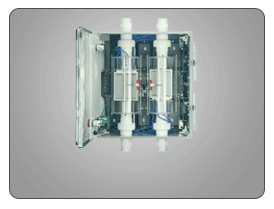 The Reverse Osmosis System is low maintenance with minimal operator involvement. As part of the plant assessment, PRAB reviews operating costs such as electrical, water, cleaners, haul-away, manpower and regulatory compliance to get you the most value for your equipment. Ultrafiltration reduces the cost of wash water and detergents by as much as 75% when calculating the costs of replacement chemicals, heating and disposal. PRAB Water & Wastewater is a leader in fluid management, Ultrafiltration, wastewater reuse, and Reverse Osmosis pre-treatment with partnerships that span globally. Our Ultrafiltration Systems reduce the cost of wash water and detergents by as much as 75% when calculating the costs of replacement chemicals, heating and disposal. Effluent water can be discharged to sewer or reused. These systems offer a robust design which effectively removes suspended solids and organic impurities from a variety of different streams for optimum water management. 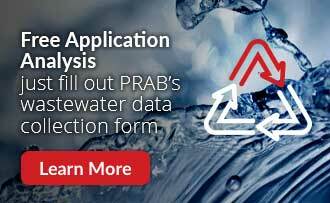 PRAB’s Ultrafiltration Systems and wastewater treatment technologies will help you meet zero manifesting goals and comply with federal Resource Conservation and Recovery Act requirements, as well as state and local discharge regulations. To see if an Ultrafiltration System is right for your application please contact us today or if you know your options and would like a quote from a product specialist click here. Ultrafiltration (UF) is a pressure-driven process that removes organics, emulsified oils, metal hydroxides, emulsions, dispersed material, suspended solids, silica, and other large molecular weight materials from water and other solutions. Ultrafiltration membranes are characterized by their molecular weight cut-off. Ultrafiltration excels at the clarification of solutions containing suspended solids, bacteria, and high concentrations of macromolecules, including oil and water. To see if an Ultrafiltration System is right for your application, please contact us today. If you know your options and would like a quote from a product specialist, click here.